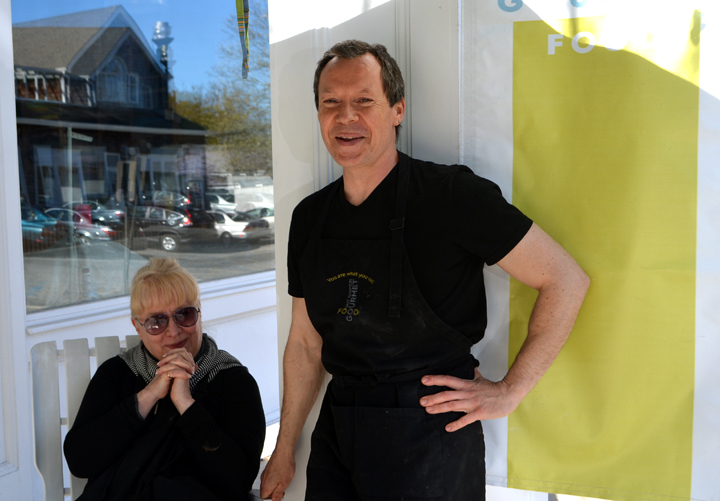 Kate Pratt and Michel Mazuret, owners of East Hampton Gourmet Food. I believe we are the culmination of our life experiences. 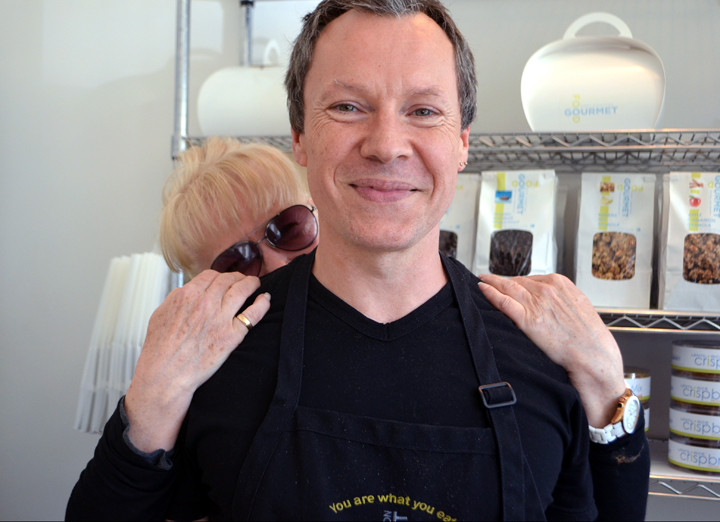 This is especially true when you meet Kate Pratt and Michel Mazuret, the dynamic food duo behind the East Hampton Gourmet Food in East Hampton, New York. 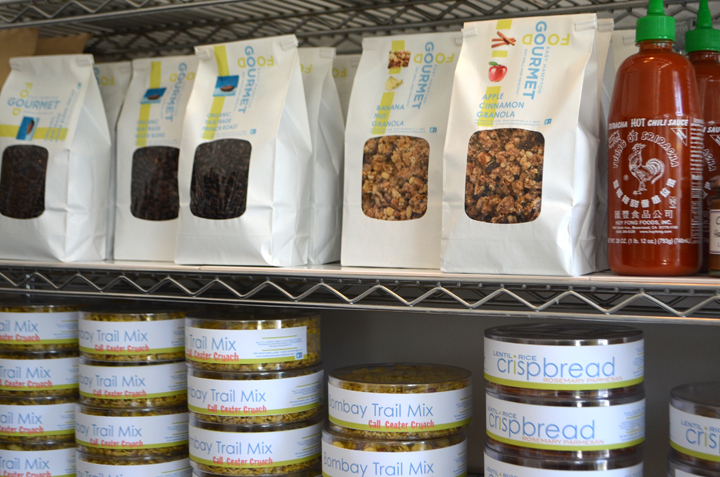 Together, for the past 17 years, they have been creating healthy gourmet eats for the wholesale, retail and entertaining markets of the East End and New York metro area. I met with Kate and Michel on a beautiful Saturday afternoon, and the drive to East Hampton was bumper-to-bumper traffic; something us “East Enders” are familiar with. This was a sure sign that winter was long gone and the summer crowds were eager to get their houses ready for Memorial Day weekend. I sat with Kate and Michel outside their store at 66 Newtown Lane, and they began reminiscing about their partnership and story. The weather was a perfect compliment to their sunny disposition and charming personalities; I could have chatted with them for hours. During my visit, they had an order for a well-known photographers birthday party of vegetarian delights: assorted grilled vegetables, lentil rice crispbread with mango chutney, white bean puree with grilled bread, vegan veggie burgers, tempeh blt’s, kale Caesar salad, quinoa salad and instead of a birthday cake a beautiful burrata cheese with basil and roasted red peppers. 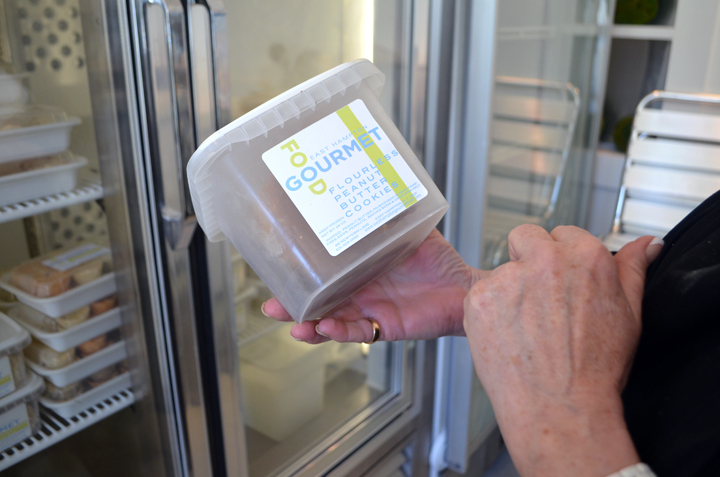 The majority of customers who stopped by the store were opening up their homes for the coming summer season; picking up their gourmet-to-go meals which are internationally inspired using locally grown, raised or caught when possible. Their ethnic cuisine is no surprise as Kate’s father was a chef in the Army as a Mess Sergeant during World War II. Can you imagine trying to satisfy the palates of hungry soldiers, who wished they were home eating their Mom’s best recipes? Kate’s father did just that, he learned how to cook foods from an array of cultures and when he returned home from active duty he would make these recipes for Kate’s family. 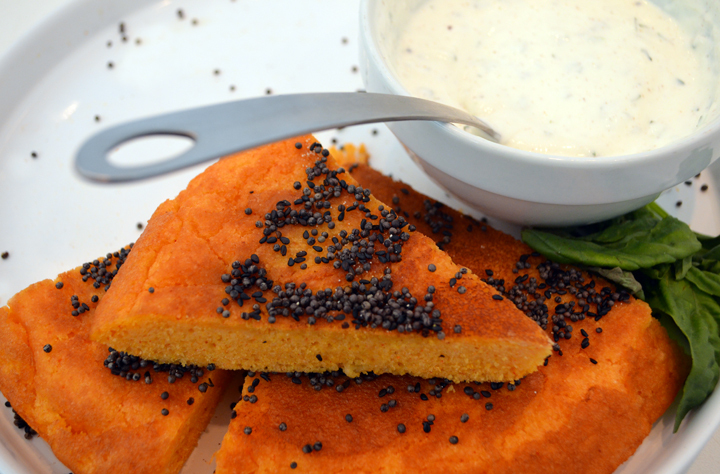 The one cuisine Kate’s father did not learn was Indian; that is where Kate’s maternal grandfather filled the void. He was in the British Royal Army, stationed in Bombay, India, where he became interested in Indian philosophy, culture and food. When Kate was thirteen her grandfather took her to the 1964 Worlds Fair in Queens, New York where she spent the entire time at the Indian Pavilion learning how to make Indian food. I tasted a few items on the menu that took me around the world: turkey meatballs in marinara sauce, a chickpea cake with yogurt sauce, Kitchari (an Ayurvedic detoxifying soupy porridge made of mung bean, brown rice and active yeast), turkey chili, quinoa spice salad, lentil rice crispbreads (flavors: rosemary parmesan and everything. These are thin, beautifully tasting artisan crackers), ready-to-bake flourless peanut butter cookies, coconut bliss (a vegan, raw and organic version of an almond joy) and a gluten-free roulade meringue with unsweetened whipped cream and raspberries infused with rosewater. This sweet treat will be the all-star at our Sheridan Green open house party; you can bank on the fact that I would drive in Saturday summer traffic to get this light and luscious dessert. Kate’s curiosity for culture and global flavors continued into her adult life. She lived in Indian for a few years and immersed herself in the culture. On her return from India she managed the famed Mangia, one of Manhattan’s premier gourmet take-out and catering establishments and a few years later moved to Key West Florida to manage, Ocean Key Resort and Spa. It was in Key West Florida where she met Michel Mazuret, who happened to be her neighbor. Michel worked at the acclaimed Café Des Artistes as a chef and was classically trained in the region of Brittany, France. When Kate and Michel met they instantly knew they would be collaborating in some type of business together and so they packed their bags and headed to Kate’s refuge in the Hamptons. The coming together of Kate and Michel was sheer serendipity. In 1996 they launched East Hampton Gourmet Food, as an artisanal wholesale bakery supplying esoteric, savory/sweet vegan pies to Hay Day Markets, Dean and Deluca, Balducci's, and several gourmet stores. In 2006, they expanded their culinary offerings alongside the wholesale operation of gourmet prepared meals for the public. These days, this health conscious foodie team is cooking up ready-to-eat, vegan, vegetarian and gluten-free meals alongside free-range poultry and local fish dishes. 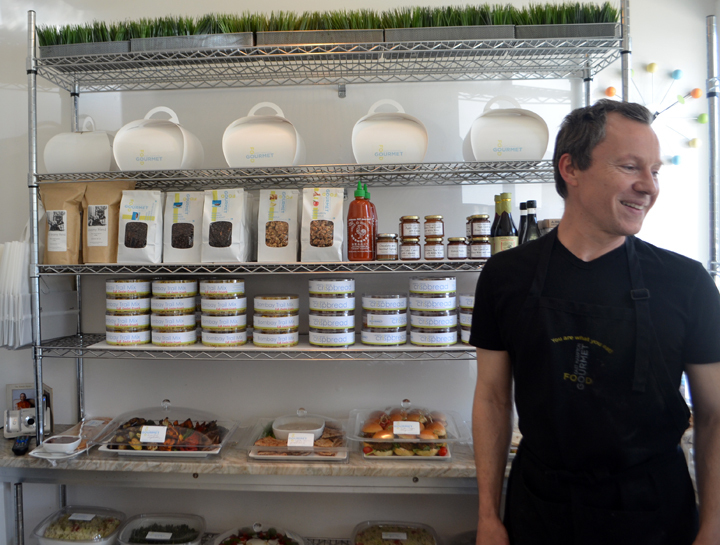 During the winter months, Michel travels to Hawaii, Japan and France to expand on his culinary repertoire which influences the seasonal dishes at East Hampton Gourmet Food. Not only does Michel create the diverse dishes offered but also the talented team of cooks: Maggie, Tikka and Beatrice who have extensive knowledge in Indian, Thai and Lebanese cooking, add their own twist. East Hampton Gourmet Food caters for events and parties. 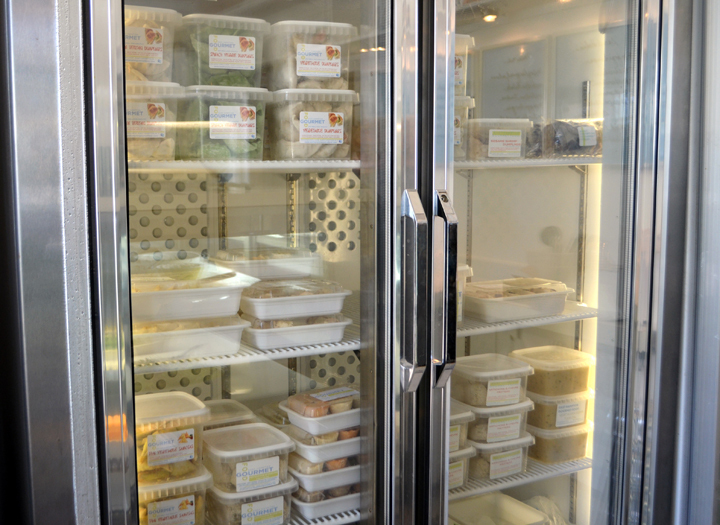 The refrigerated case displays are filled with a variety of gourmet prepared meals; vegan, vegetarian, and some poultry. 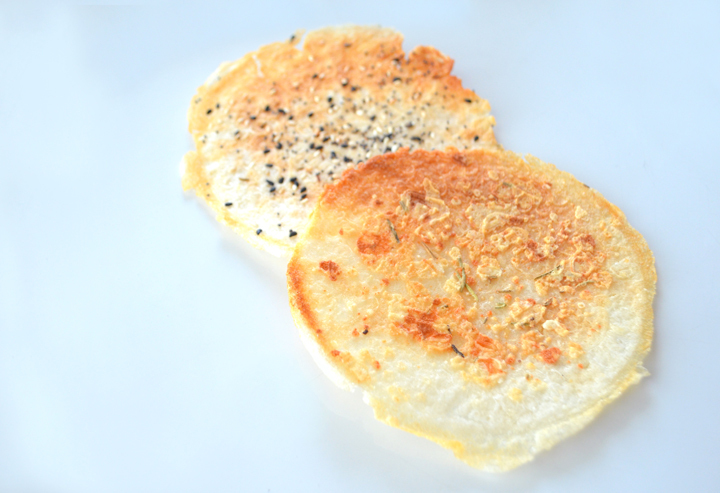 The vegetarian frozen hors d’oeuvres would satisfy any carnivore; offering dumplings, quiches, samosas and fritters. Most dishes in the store are gluten-free and they even offer frozen flourless peanut butter and chocolate chunk cookies that are ready to be baked. To top it off, Kate who has a degree in biochemistry, developed a skin care line, Hampton Botanicals. “70 percent of what you put onto your body goes into your body,” says Kate. The products are made with essential oils, are plant-derived, as organic as possible and will be offered at White's Pharmacy in East Hampton. 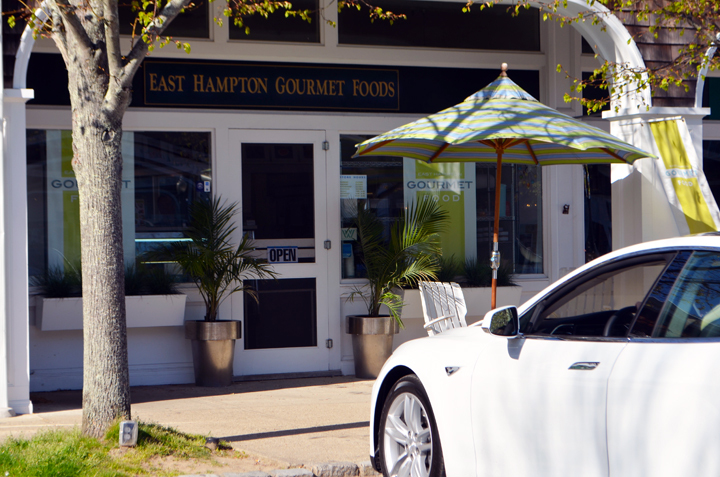 East Hampton Gourmet Food is presently looking for an additional location to expand their business. This new location may focus on their wholesale products, gourmet-to-go refrigerated foods, or their skin care line, Hampton Botanicals. Eat well and healthy is Kate and Michel's mantra. Be sure to stop by their shop as there is something for everyone to enjoy. I look forward to their upcoming journey as I think it is going to be a happy and healthful ride. 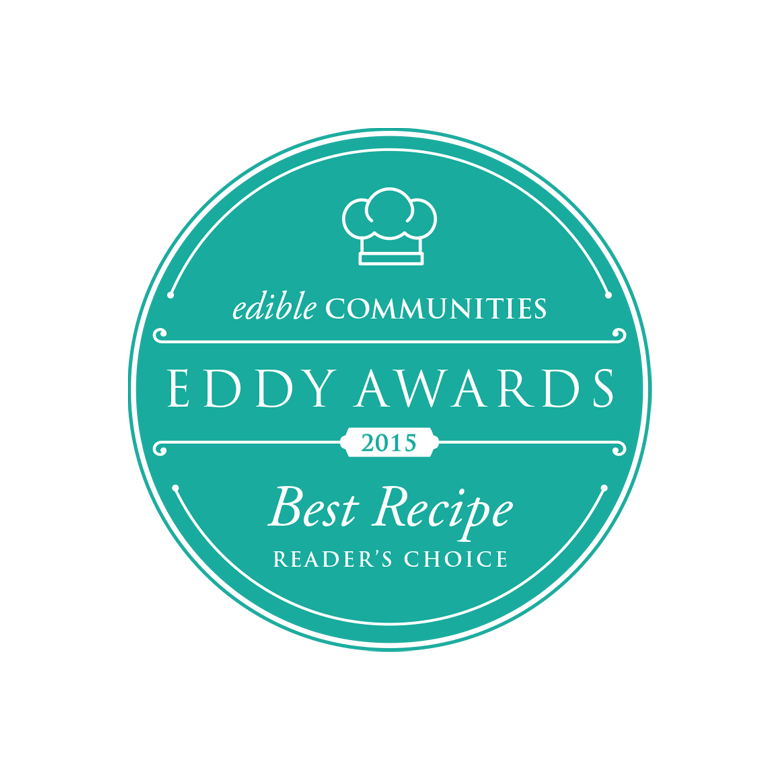 Counter People Needed: Who are foodies at heart and interested in healthy foods. address: 66 Newtown Lane (rear building) East Hampton, New York.